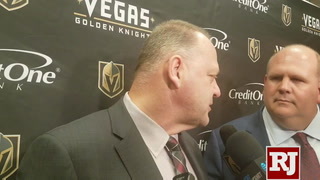 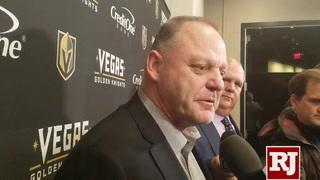 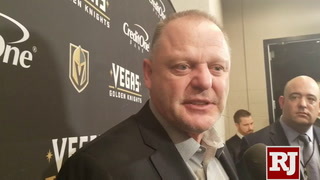 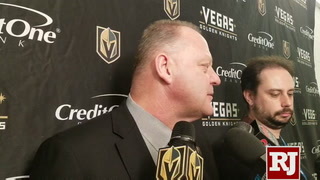 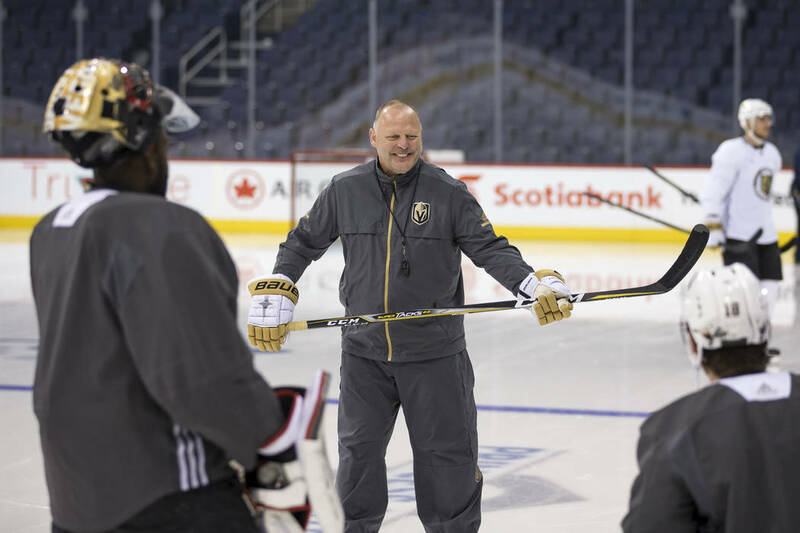 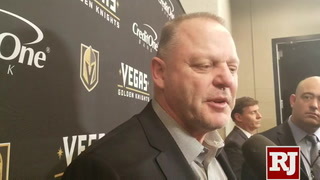 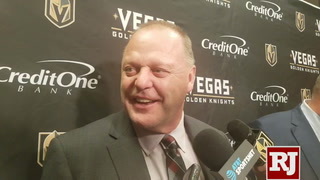 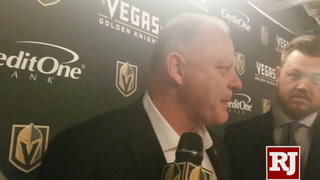 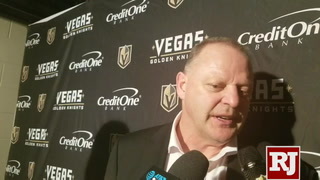 If you’re searching for a sure thing, you would be pressed to discover one more certain than Gerard Gallant being named Coach of the Year, buoyed by the same traits that allowed Vegas its most important victory yet in these Stanley Cup playoffs. 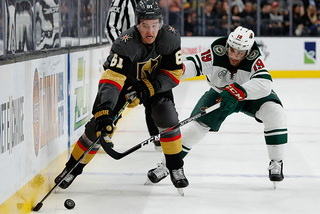 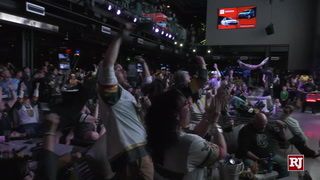 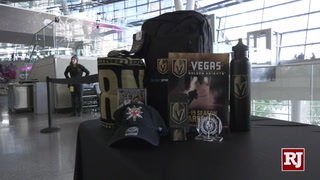 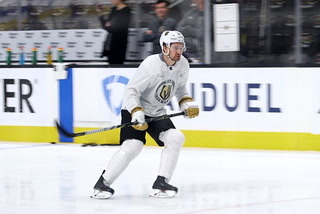 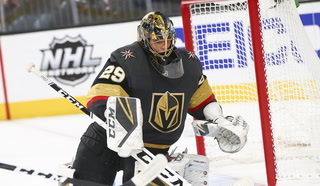 WINNIPEG, Manitoba — The NHL will hold its annual awards show at the Hard Rock Hotel & Casino in Las Vegas on June 20, when some honors will be closely contested and there will be surprises among winners. 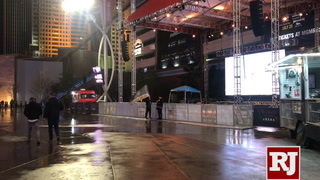 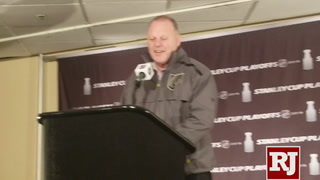 And then they will present the Jack Adams Award. 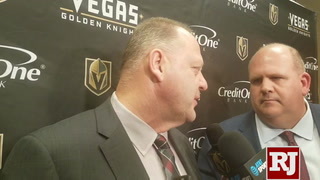 And then everyone can chat for a bit about how their summers are progressing. 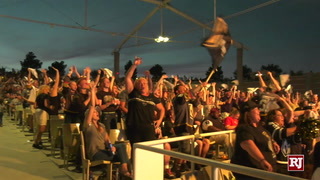 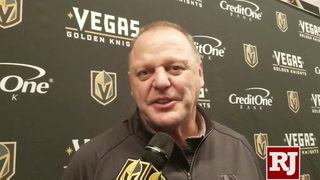 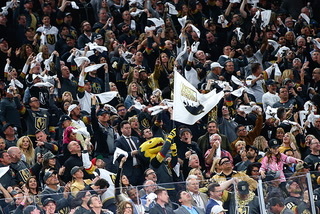 If you’re one of those folks always searching for a sure thing, you would be pressed to discover one more certain than Gerard Gallant being named coach of the year, buoyed by the same traits that allowed the Golden Knights their most important victory yet in these Stanley Cup playoffs. 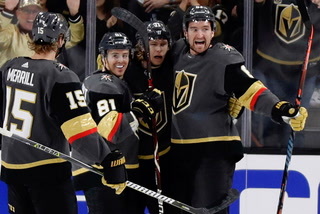 Their most important win ever. 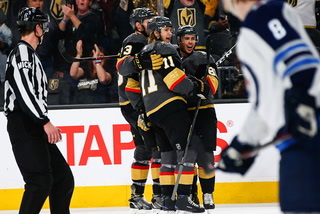 Vegas earned a split of games at Bell MTS Place by beating Winnipeg 3-1 on Monday night, evening this best-of-seven Western Conference final at 1-1 as it now moves to T-Mobile Arena for Games 3 and 4 on Wednesday and Friday. 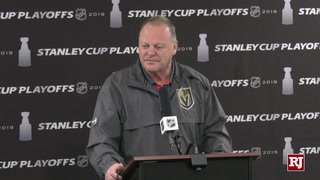 You can trace this Game 2 victory to late Saturday, when Gallant was asked to evaluate his team’s performance in a 4-2 series-opening defeat. 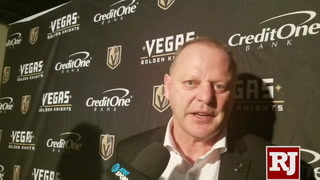 “(Winnipeg) outworked us,” Gallant said. 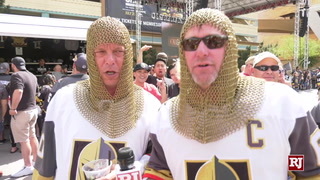 “That’s why they won the hockey game. 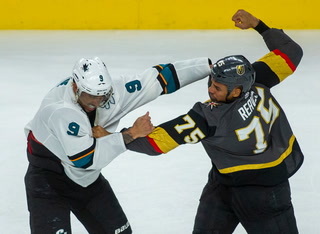 We have to compete harder. 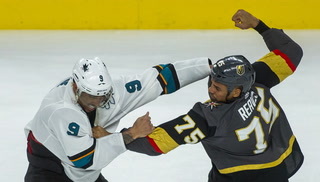 We got to battle harder. 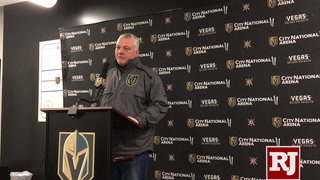 Translation: Monday’s game was, in large part, won immediately following Saturday’s defeat, when Gallant calmly and yet not-so-subtly called his team out for its lack of effort. 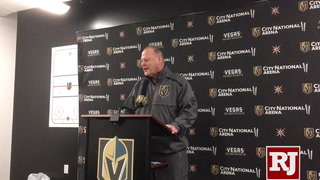 He’s not a coach who fills notebooks with creative and lengthy prose, not the guy you rely on for a memorable deadline quote or sound bite. 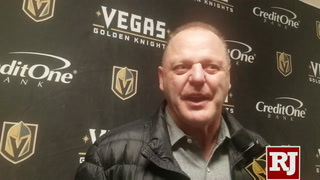 He’s a pleasant enough fellow, for sure, but not a fountain of shared information. 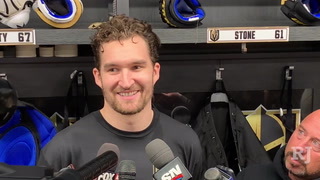 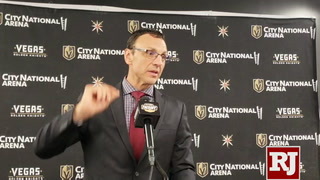 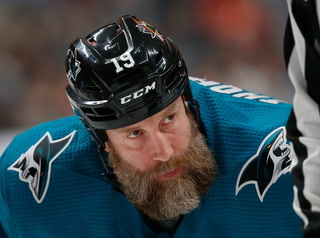 Which, I have to believe, puts a smile on the face of general manager George McPhee, hardly Winston Churchill himself in such matters. 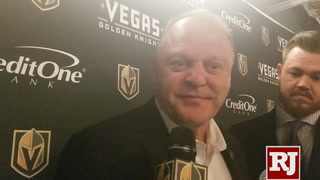 But if you want a coach who absolutely knows better than anyone the pulse of his team, when to make lineup changes and when not to, when to give a player rope and when to replace him, when it’s time to shake things up or stay the course, Gallant has proven as magical as his team this season. 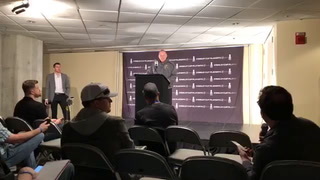 Coaches are almost always given too much credit at the professional level for winning, no matter the sport, unless we’re talking Brad Stevens of the Celtics and you just throw up your hands and concede after watching his 100th set play involving a back screen. 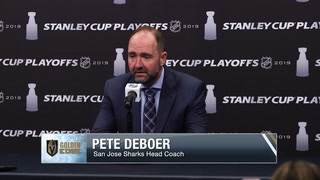 The very best ones — Gregg Popovich, Bill Belichick, Joe Maddon — have this uncanny way of how best to inspire great play. 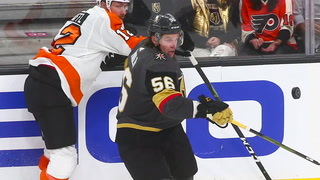 Gallant has owned that touch this season. 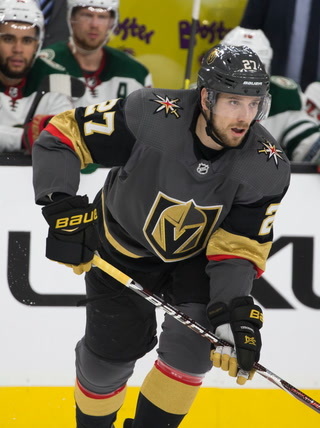 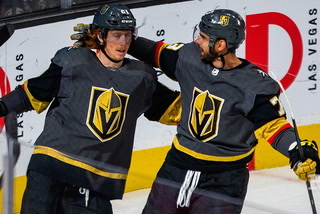 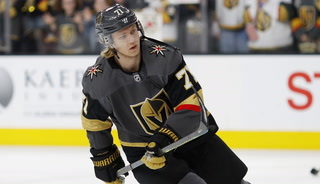 He moved Tomas Tatar into the lineup for a reportedly ill David Perron and all Tatar did was score the game’s first goal to give Vegas an early lead. 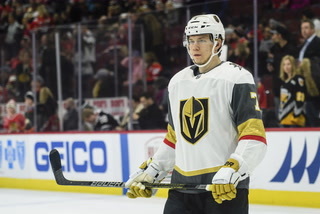 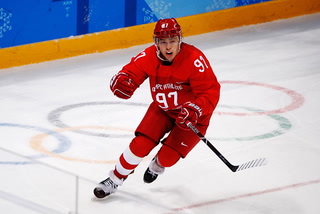 Gallant also, in changing his lines, replaced Oscar Lindberg with Tomas Nosek and the latter responded with two blocks and offering quality time on the penalty kill. 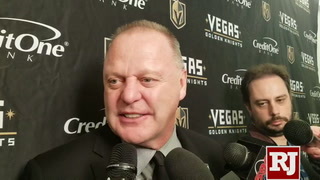 Gallant is Mr. Midas when it comes to this stuff. 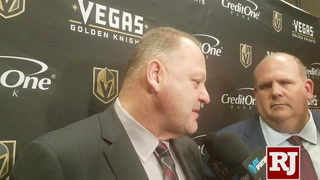 It has been this way from the beginning, one reason the Knights never lost more than three straight this year, their coach never too high, never too low, treating the room as professionals and expecting its players to respond as such. 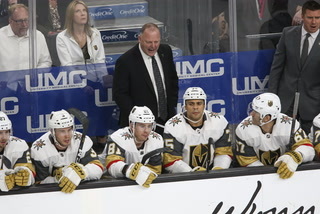 He never talks to them immediately after games, and when he does the next day, the missive remains clear and concise: Know your job and do it. 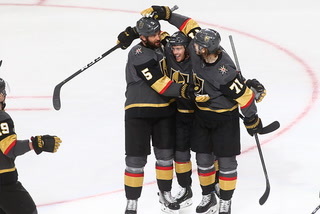 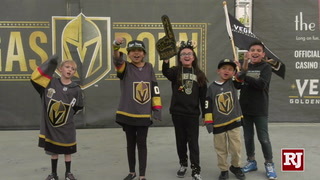 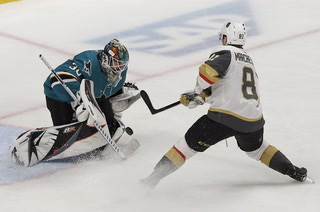 “The biggest strength of our team is that we don’t get comfortable and we don’t get satisfied,” said forward Jonathan Marchessault, whose two goals led the way Monday. 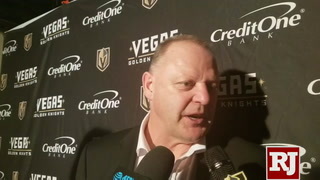 “Every time when you get a big game for our group, we show up. 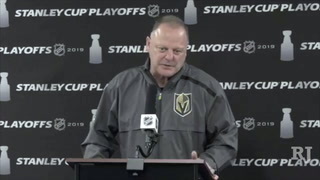 I think — make that know — such a characteristic is derived from the head coach. 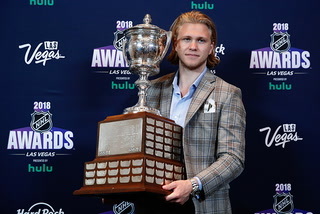 Save your awards show banter for the Jack Adams. 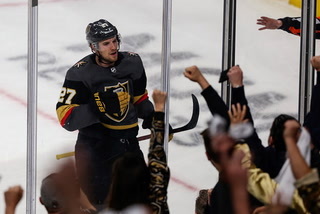 And if by some ridiculous scenario Gallant doesn’t receive it, ask why Warren Beatty and Faye Dunaway are announcing the winner.